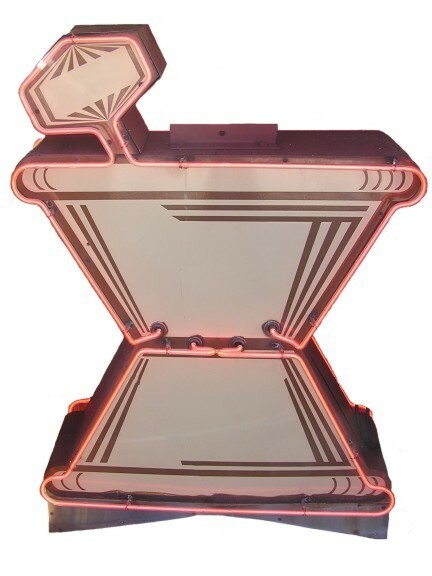 description: Large double sided neon sign in the shape of a druggist mortar and pestle. This cream colored sign with brown accents has red neon outlining the shape of the mortar and pestle. information: Most likely mounted on top of or on the front of a drug store building.